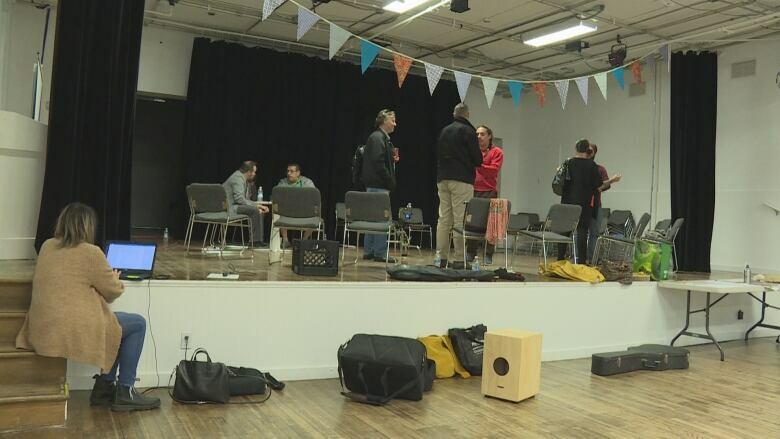 Indigenous musicians from around the province are meeting in Fredericton this weekend to participate in a three-day recording session. 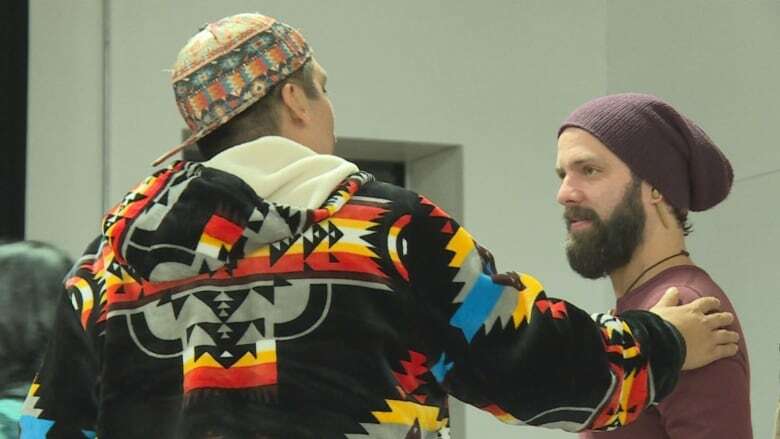 Indigenous musicians from around the province are meeting in Fredericton this weekend to participate in a three-day recording session and hope to have a couple hits by the end of it. "For the whole weekend, we're just going to write two songs, just killer songs, you know, bangers," said Simon Walls, a music producer for Musique Nomade. Musique Nomade is a travelling recording studio that goes to Indigenous communities and helps bands and artists record their music. It's organizing the three-day event, which includes a conference and workshop, along with Arts NB at the Charlotte Street Arts Centre. 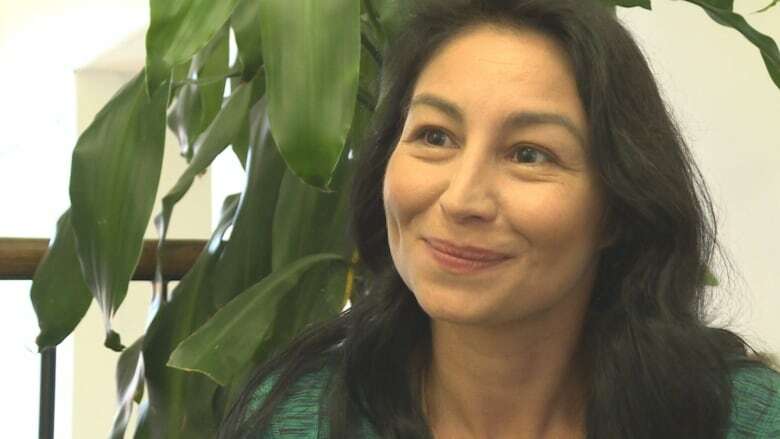 Corrina Merasty-Gallant, the Indigenous program co-ordinator with Arts NB, hopes the event will promote the province's Indigenous talent to a greater audience, and show the artists what opportunities are available to them. Merasty-Gallant said she has received a lot of positive feedback from the artists this weekend. "They're like, 'Wow, Corinna, I had no idea that this was available around me in the province.' So I think this networking and engagement is really going to be key to the future of our artists starting in a great direction in their careers," she said. 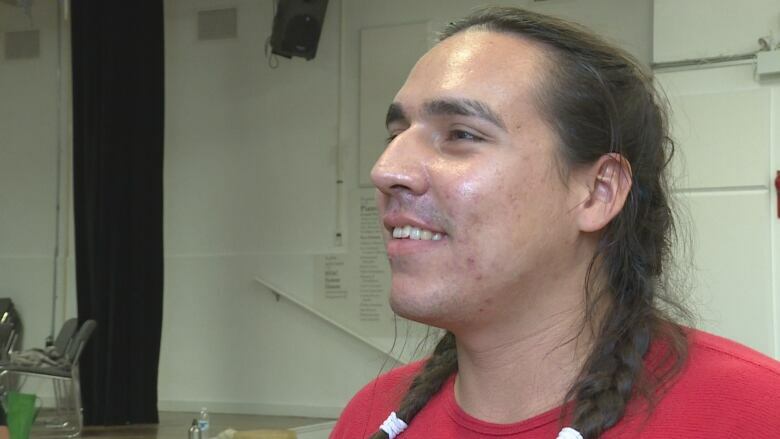 Kesley Saulis of the Tobique First Nation said the workshop is important because it brings together Indigenous artists that typically don't have the tools or the foundation to develop and improve their careers. Plus, he added, it's fun to collaborate with other artists. "It's hard when you're on your own," he said. "You only translate in your own language, but then hear other people's language, their type of music. And they translate it into the same song and it turns out to be just amazing."